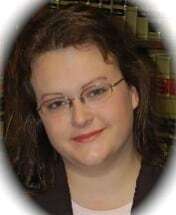 J. LeAnn Friel is an Associate with The Redfearn Law Firm, P.C. LeAnn received her undergraduate degree in political science from the University of Missouri in 1999, her law degree from the University of Missouri - Kansas City School of Law in December 2004, and was admitted to the Missouri Bar in 2005. LeAnn began working for the firm in 1997 as a summer intern and continued to work for the firm in various capacities as she continued her education. She has had the benefit of observing and being involved in all stages of case development. Now, she is able to use this experience in researching and constructing cases for the clients of the firm. Focusing on legal research and writing, LeAnn enjoys using the power of language to help win justice for those who have been wronged. She appreciates the privilege of working for the clients of The Redfearn Law Firm, P.C. LeAnn cherishes her family time, and role as a mother to her son and daughter. LeAnn's professional memberships include the American Association for Justice, the Missouri Association of Trial Attorneys, and the Kansas City Metropolitan Bar Association.